Scooper - Technology News: What does Obama's visit actually mean for US-Cuban relations? What does Obama's visit actually mean for US-Cuban relations? Barack Obama’s upcoming visit to Cuba is undoubtedly an historic moment, as it will mark the first time in 88 years that a sitting American president has set foot on the island. But superlatives are far less useful than a pragmatic look at the practical implications – for both the United States and Cuba – of Obama’s legacy-enhancing move. In fact, pragmatism is among the main shapers of Obama’s approach to Cuba. He recognizes the failure of the trade embargo, in place since 1960, to push the country to strengthen human-rights protections, much less to move toward democracy. Thus, Obama has pragmatically – perhaps even somewhat cynically – decided to abandon trying to compel Cuba’s leaders to change their political system. After all, if the US had set a political opening in Cuba, or even a modicum of respect for human rights by the government, as a precondition for normalization of diplomatic relations, the two countries would still be at an impasse. But while Obama may be burnishing his legacy by pursuing unconditional normalization – so-called “engagement” – what he is not doing is securing any actual change in Cuba. “Engagement” is, ultimately, just rhetoric. Indeed, if engagement is supposed to result in political change, US engagement with Cuba is most likely doomed to fail; after all, trade and investment have done nothing to bring about a democratic opening in Vietnam over the last 20 years. Nor have 30 years of massive trade with, and investment in, China brought that country’s leaders any closer to democracy. If engagement entails setting aside matters relating to democracy and human rights, at least partly, it is still a sensible policy, if not a very altruistic one. In any case, attending a baseball game in Havana in the company of Cuban President Raúl Castro, as Obama is set to do, is not a necessary element of this policy. On the contrary, as the columnist Andrés Oppenheimer has argued , it is a serious mistake, as it amounts to a slap in the face for the victims of the Castro regime’s human-right abuses. Jettisoning the trade embargo, a failed policy, makes sense, but it does not require “playing nice” with a dictator. One never knows whether other dictators will invoke a regrettable precedent set by an American head of state, particularly one who is highly admired nearly everywhere in the world. This is not to say that Obama has forsaken Cuba’s small and beleaguered opposition. Indeed, he is scheduled to meet with Cuban dissidents, much to the displeasure of the Castro regime. Moreover, Obama will address questions of democracy and respect for human rights in his live televised address to the Cuban public. The media representatives who will flank Obama during his visit – including, unfortunately, at that ill-advised baseball game – will take up these crucial issues in their reports, even if they are peppered with platitudes about Cuban music and published alongside silly shots of vintage automobiles on Havana’s streets. While the US cannot – and, it seems, will not – ignore the principles of democracy and human rights in its dealings with Cuba, there is a distinction between democratic norms and economic policies. 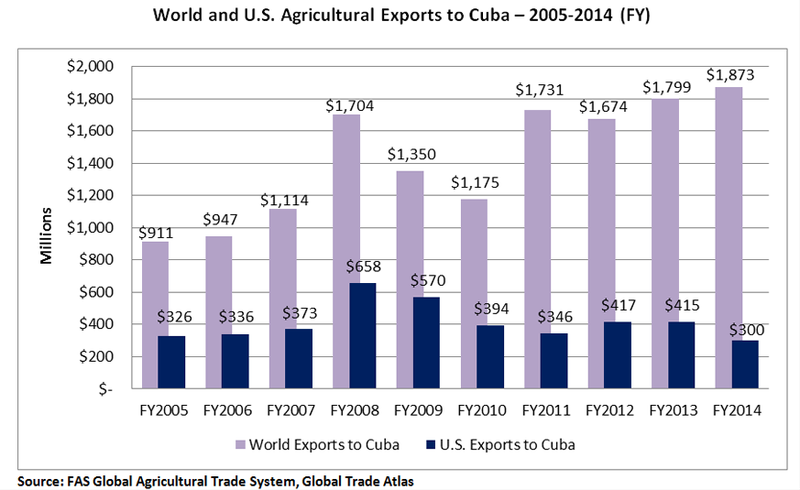 In fact, the biggest challenge facing the US as it attempts to normalize ties with Cuba is on the economic front. Part of the problem is the lingering embargo. While support for lifting it has grown within the Cuban-American community and the US Congress, it is unlikely to happen before Obama leaves office. Though a number of restrictions on travel and financial transactions have been rescinded, the obstacles in the path of a real change in the island’s economic situation remain formidable. Even without the embargo, Cuba would still be held back by its dilapidated infrastructure; strict labor laws; restrictions on foreign-investment; an educated but unskilled workforce, unaccustomed to Western workplace practices; and a lack of contracts and legal instruments to enforce those practices. All of this makes it highly unlikely that US engagement will have much of an impact on ordinary Cubans. For Cuba’s leaders, the absence of concrete economic benefits is a massive disappointment. With Venezuela facing economic devastation , owing partly to collapsing oil prices, its people are no longer interested in subsidizing Cuban socialism to the tune of several billion dollars per year; indeed, they have already rejected their own left-wing leadership. Castro saw this shift coming even before the Venezuelans did, and began looking to the US to take up the slack. But the US hasn’t, and probably won’t, at least not for some time. Without a strong economic impact, America’s opening to Cuba will not make even a small contribution to political liberalization on the island. This will not matter much for Obama’s legacy. But it does raise questions about how important an individual leader’s legacy should be in shaping policy toward an endearing but impoverished and still-repressive country.